I have paid a deposit, with installation fixed for the 12 June. In the mean time the Solar Victoria Rebate Scheme has reached cap. They failed to advise me to apply for it ASAP. The 3 companies who quoted me were fine, but where a bit more expensive that my budget. 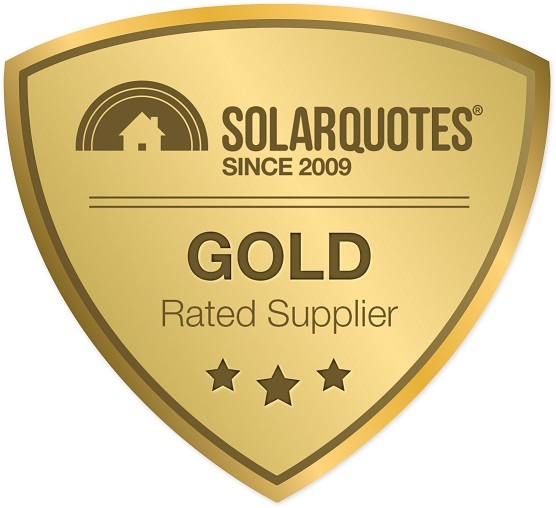 I got another quote from Sunrun Solar, who are also on your list or recommended installers. I went with them as I was happy with their price, specs and reputation. Sunrun solar designed a system with Solar Edge Optimizers, which I am very pleased with. It was a pleasure dealing with Ravi who was very polite, knowledgeable and not at all pushy. The ladies at the office were very helpful too. 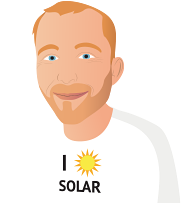 The 2 months of speaking to so many solar companies was confusing and frustrating. But solar quotes advice really helped me to understand what to look out for. I feel very confident that I have chosen a great solar package. I never go as far as wanting to leave a feedback for a service I received but I felt compelled this time. Having heard so many horror stories regarding solar installations we were very hesitant at first but with the federal and now state rebate we took the gamble. I talked to a few reps of different companies. It was when I talked to Ravi of Sunrun Solar that I felt comfortable going ahead as he was happy to answer all of questions and we were satisfied with the proposed process. Everything was explained in detail and he was made available when ever we called up or he followed up right away. He made sure we got the right product and accredited installers to comply with the state rebate while also negotiating a really good price. 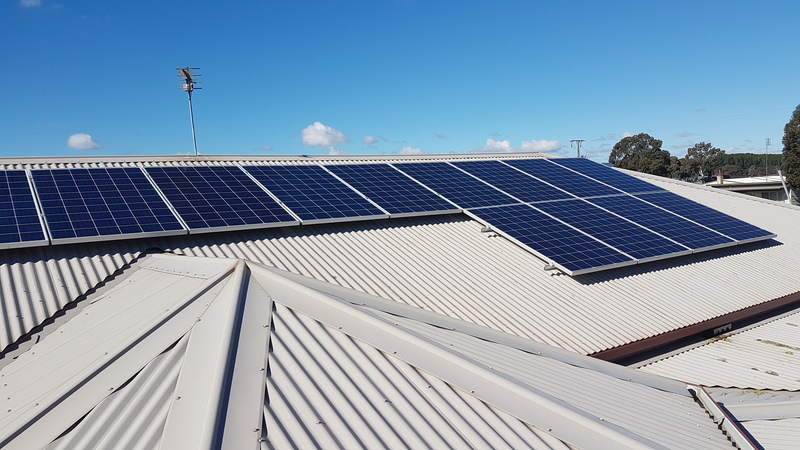 Once we agreed on the price installation commenced shortly after and it took the installers to complete the job in 6 hours(6 kw system/22 panels). We currently have had the system installed for 4-5 months. Right now in the summertime the system produces up to 42 kwh/day when its sunny all day which has exceeded our expectations. He was very helpful and and the Quoting was simple and easy and We were very Happy with the price and it was quick to be installed too. and he is always happy to answer and questions we have with the system. Overall Very Happy with the Service they are giving us. We had a 6KW Suntech/SolarEdge system installed by Sunrun Solar on the 14/12/2018 but due to Christmas and New Year holidays I'm still waiting for the inspection and United Energy to fix an issue with grid voltage. Thanks very much for helping out by vetting the companies in the first place. This has helped us to choose a reputable supplier. Sunrun Solar provided a very impressive service. I started the process with Finn on Solar Quotes and had done quite a bit of quote comparison over a few months as I explored everything I needed to know before settling on Sunrun. Karyn was very easy to deal with and went out of her way to accommodate my many system changes. She explained everything in minute detail and never showed any frustration when I kept asking lots and lots of questions to try and tailor the best solar option for my house. I wanted the best option for my current electricity usage but also explored the options for my future electricity usage. Airconditioning, spa pool heater, etc. Karyn allowed me plenty of time to think over what I was going into and after getting several quotes from other companies and experiencing their sales techniques, I knew Sunrun were going to be the most superior company to deal with for my purposes. 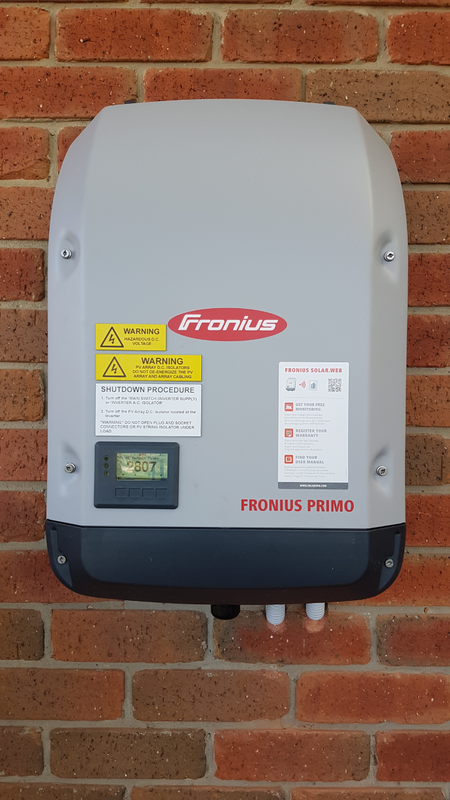 I settled on a SolarEdge 7.3kw Single phase Inverter to run a 10Kw system with 12 years warranty on the SolarEdge Inverter. 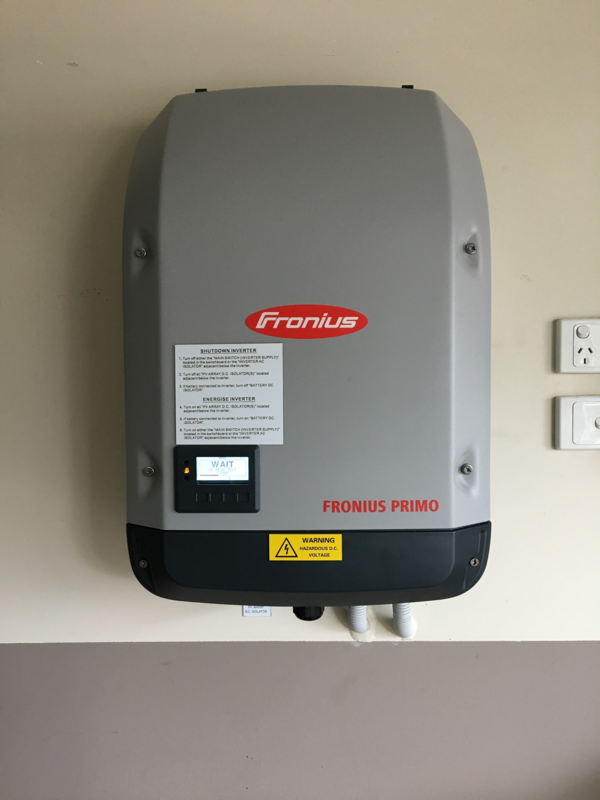 This was coupled with 34 x SolarEdge Optimisers with 25 years SolarEdge Optimiser warranty on each of the 34 x Canadian Solar 280 watt Poly panels with 25 year panel performance warranty. On top of all that they offered 10 years workmanship warranty. My system has 7 East facing panels for the morning sun, 17 North facing panels, 4 additional North facing panels on another part of the roof and 6 West facing panels for the late afternoon sun. Sunrun ensured the installation occurred seamlessly even allowing me a late change to the install schedule due to a health issue. The workmanship of the 6 man installation team was very professional. They took time to explain carefully to me all the elements of what they were doing and answered all of my questions. Inspection and having the system officially turned on went without a hitch and as with all the team was on time. The system is operating perfectly today (an overcast cloudy September day but still generating 42KWh) and has been since it's inception on the 12th June 2018. Middle of winter, over the month of June, I generated 20-30KWh per day which is still more than my house uses. My peak generation thus far has been 56KWh on the 20th September 2018 so I can't wait to see what I get mid summer. To top it all off I can view the app on my phone or laptop to see exactly what the system is generating at all times. It is great fun. I went out and bought a tumble dryer for those winter days where drying clothes was a chore and my 4 children now do their own laundry. It does not even have to be a sunny day. I have even stopped telling my four children to, "Turn off those lights." It just doesn't worry me any more. I haven't even received an electricity bill where I have needed to pay as yet. Amazingly great value for money! This company has all of it! Great response time to customer queries (email + phone), detailed explanation by sales rep about technical aspects/options and recommendation on installation pattern suitable for yous site for maximum energy production etc. No cutting corners or compromise on anything at all. Very pleasant and professional staff to-deal with. Only one roof tile was broken during the installation (5-10 is normal), but it was fixed without even me to ask for it! They provided with the newer version of the panels and inverter which was a pleasant surprise. The energy production was on peak even on a cloudy day (15/09/2018). Ravi, while persistent, was the most polite and helpful salesperson I had dealt with. His persistence was never annoying, but reassuring as it allowed me to build a rapport that led to a great price for the system I wanted. It also helped me raise any questions I had along the way. Ravi was fantastic to deal with, he let us know every step of the way how things would happen. Good customer service, trust worthy. Installed today, waiting for inspection done. Tarak is sales person. Good sales person. The Sales rep Ravi was excellent in explaining & proposing the fit for purpose system, he is very knowledgeable and supportive. The installers were both great, did an excellent job. Some vendors simply did not come out to check the site for the install quote (which given there were shading issues etc... seemed to me to be a problem) - Others were simply too expensive. Several vendors we saw insisted on coming out in person to do a hard sell before providing a quote.... which got them crossed off the list instantly.